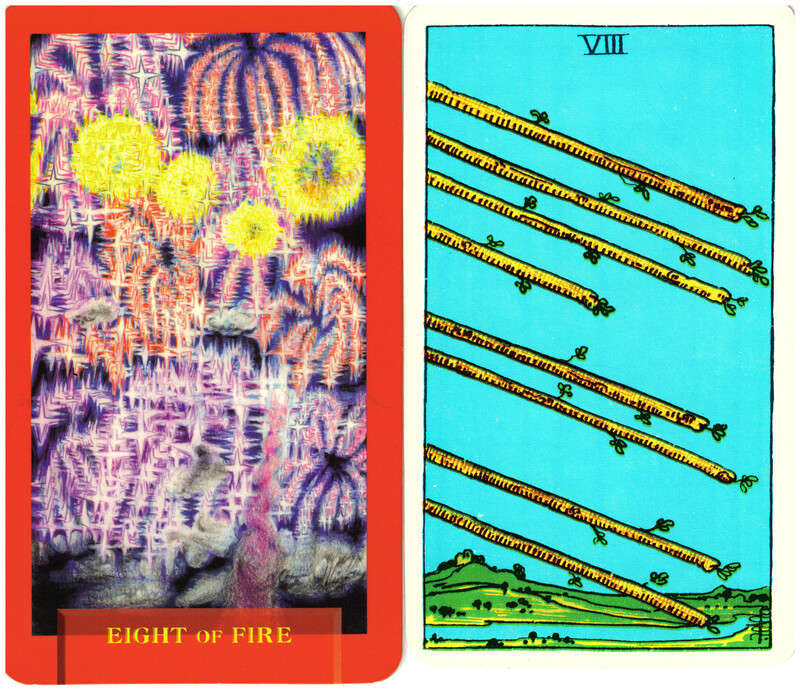 The Eight of Wands from the Rider/Waite/Smith deck simply shows eight wands flying through the air. When I first started learning the cards, this one was particularly hard for me because it didn’t seem to have any symbols at all. But the wands represent spasmodic energy and movement. Today’s Journey Tarot used the image of a fireworks display to express this powerful movement of energy. In modern life, we are all drawn to this energy as we watch the intense lights and sounds of fireworks. We are also aware that if this energy is not controlled, it could be dangerous and at the very least, an unfulfilling show of lights – a waste of energy.